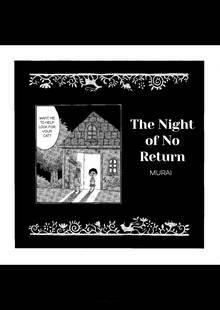 [Free Books] The Night of No Return｜MANGA.CLUB｜Read Free Official Manga Online! Very strange, but in a good way. One of the most unique approaches to art I've seen in a one shot manga. The art is really nice and has lots of potential, now we just need an actual compelling story to go along with it. I feel like this was more of an art experiment and the artist added a story to make it feel a bit more coherent.